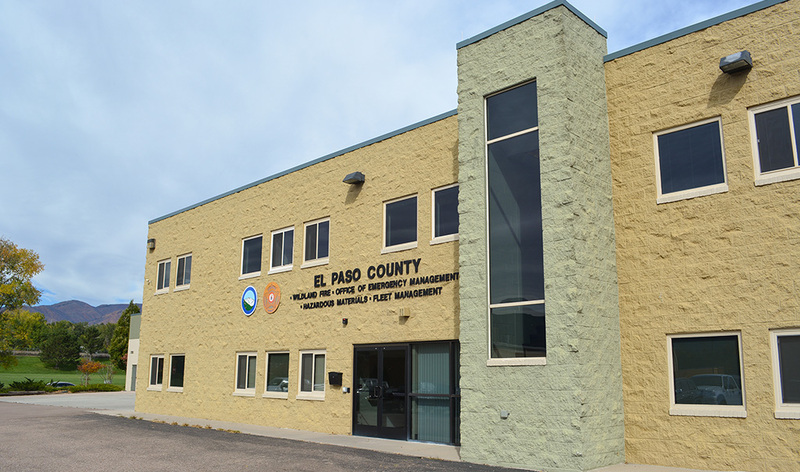 The mission of the El Paso County Office of Emergency Management is to serve the citizens of El Paso County by building a more resilient community through cooperation and competence in emergency management services with integrity and dedication to excellence. The El Paso County Office of Emergency Management (OEM) is a branch of the Department of Public Works. It provides coordination and support for activities relating to disaster prevention, preparedness, response and recovery to protect the lives of the citizens in our community, and is directed by the El Paso County Board of Commissioners. Preparation for emergencies considers all potential hazards, natural or human-caused. Our planning process anticipates future disasters and develops a cooperative process to prevent and mitigate hazards, and organizes local actions when a disaster occurs. Training and exercise activities promote collaboration among all levels of government and local organizations to help unite our community and strengthen our abilities to serve the community. The Emergency Coordination Center (ECC) is a core resource that supports disaster response operations in El Paso County. It is a central coordination point for all emergency support functions, communication, and public information in a disaster. The ECC is also a hub for incident accountability, recordkeeping, reporting, and financial functions for large-scale emergencies. Mitigating the impact of a disaster and coordinating efforts to restore the community is another primary focus of the OEM. Recovery is the longest phase of a disaster. It includes the rapid restoration of public infrastructure such as roads, bridges, and drainages to a useable condition. Then, long-term reconstruction work builds in resiliency to allow the infrastructure to withstand other disasters. OEM is the Designated Emergency Response Authority (DERA) for unincorporated El Paso County. The DERA is responsible for Hazardous Materials response, training, incident planning and reporting. This includes monitoring Tier II reporting by facilities using hazardous materials and participation in the Local Emergency Planning Committee (LEPC) with local industry and community stakeholders. For current fire ban restrictions, please see the El Paso County Deputy Fire Warden’s burn ban information, or contact 719-390-5555 for the latest ban information.